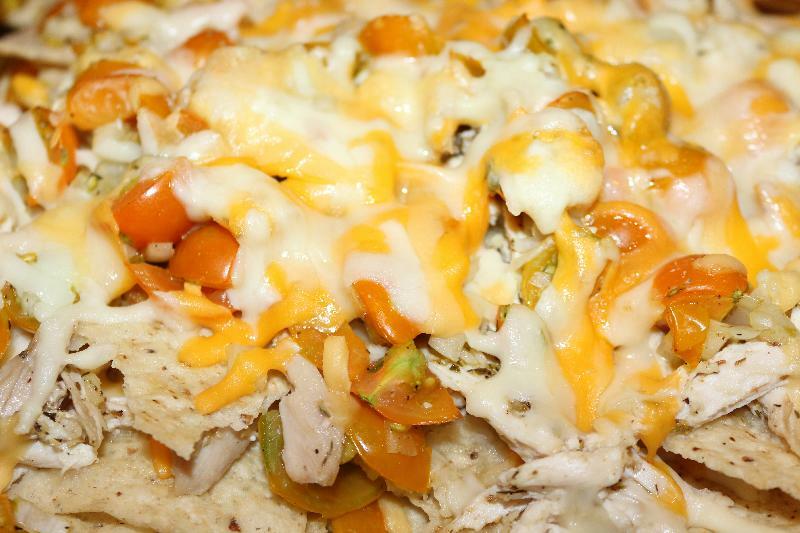 Years ago I tried chicken nachos at Miller's Ale House and have loved them ever since. Today I had some leftover chicken as I made this yesterday. I made some salsa today. So I decided to attempt to use all of those things to make some chicken nachos. I found this recipe and tweaked it. Put olive oil in a skillet and saute the garlic, cumin, and oregano for three minutes. Then combine the chicken, lime juice, pepper, and the garlic mixture. Next in a greased 13 x 9 pan place a layer of tortilla chips, then the chicken, salsa, and cheese. Bake uncovered for 15-20 minutes or until heated through.